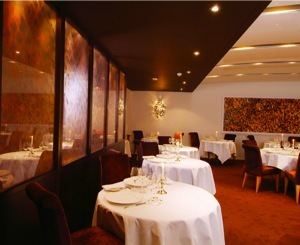 Enjoy the ultimate dining experience of Thornton's Michelin Star restaurant. Considered by foodies to be Dublin's finest restaurant. Thornton's charms and captivates at first bite. Signature dishes such as roast suckling pig with poitin sauce are slipped discreetly before you. With views overlooking St. Stephen's Green and interiors in a classical contemporary style with a cream and gold palate. Thornton's will continue to captivate.